Ford this week unveiled the new Fusion for the first time in Canada along with the 2017 F-150 Raptor. Both models made their debut in Detroit last month. The Ford Fusion, which will arrive in showrooms later in 2016, offers four trim levels: V6 Sport, Platinum, Hybrid, and Energi. It’s the first Ford vehicle in North America to feature pedestrian detection technology. 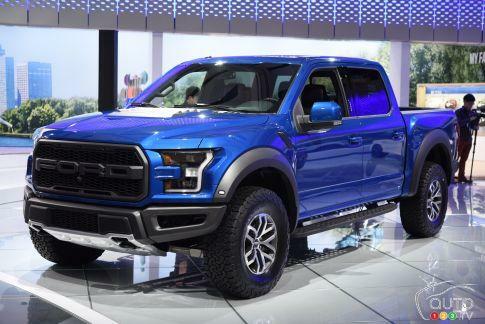 Meanwhile, the 2017 Ford F-150 Raptor replaces its 6.2L V8 with a 3.5L EcoBoost V6 that is projected to deliver more than the current 411 horsepower. Buyers will get to choose between six different modes including Normal, Street, Weather, Mud & Sand, Baja, and Rocks.